This is so sweet! And true! Fr. 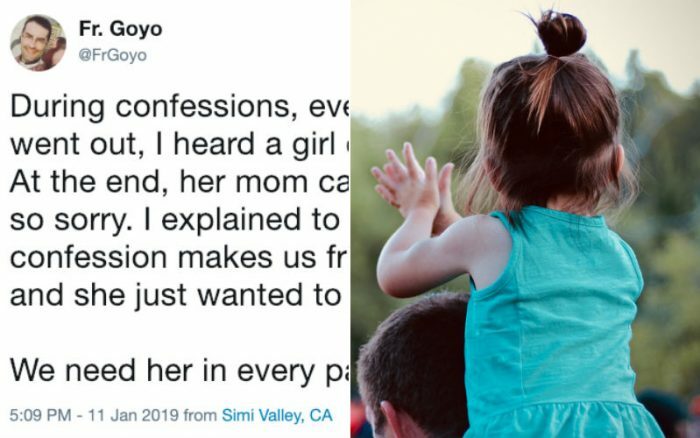 Goyo Hidalgo, an associate pastor for St. Rose of Lima Catholic Church in Simi Valley, Cali., posted an awesome story about a little girl clapping outside the confessional. 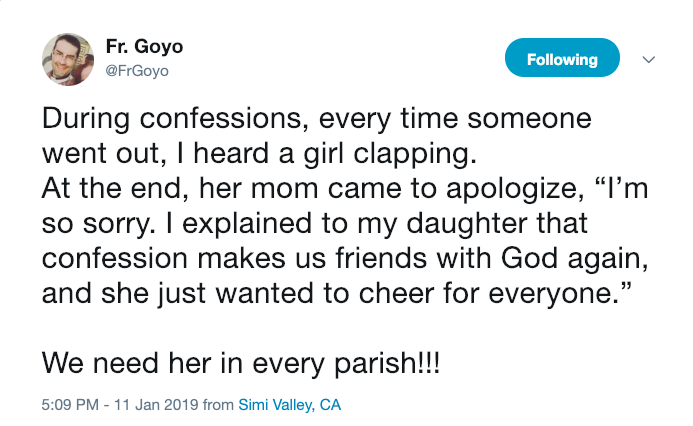 While clapping in church is not usually appropriate, this little girl felt she had a good reason to do so! The text reads, “During confessions, every time someone went out, I heard a girl clapping. Click here if you cannot see Sr. Yna’s tweet.